Kettle Black is a quiet dance, a tiny explosion expanding exponentially. 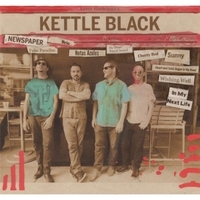 The brainchild of Mumbles alum, Keith Burnstein, along with members of Toubab Krewe and Antibalas, Kettle Black is a plush percussive discussion. Recorded live on Frenchmen St. during the Jazz and Heritage Fest in New Orleans, 4.28.16 captures the band live and uncut.